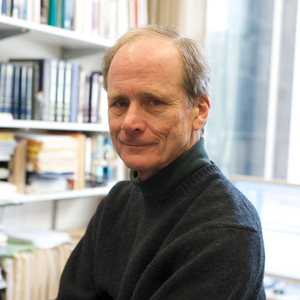 Edward L. Deci is professor of psychology and Gowen Professor in the Social Sciences at the University of Rochester, where he is a member of the Human Motivation Program in the Department of Psychology. He holds a Ph.D. in psychology from Carnegie-Mellon University, studied at the University of Pennsylvania (Wharton School), the University of London (London School of Economics), and Hamilton College. He was an interdisciplinary postdoctoral fellow at Stanford University. 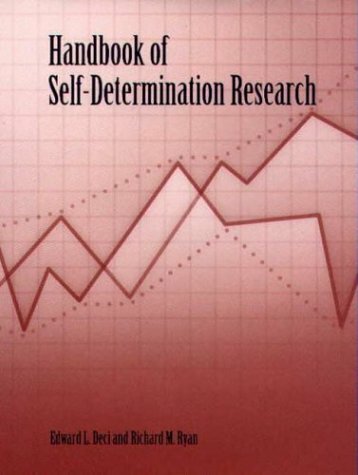 For 40 years Deci has been engaged in a program of research on human motivation that has led to and been organized by Self-Determination Theory. He has published ten books, including: Intrinsic Motivation (Plenum, 1975); The Psychology of Self-Determination (D.C. Heath, 1980); Intrinsic Motivation and Self-Determination in Human Behavior (co-authored with R. M. Ryan, Plenum, 1985); and Why We Do What We Do (Putnam, 1995; Viking/Penguin, 1996). His writings have been translated into seven languages, including Japanese, German, and Spanish. A grantee of the National Institute of Mental Health, the National Institute of Child Health and Human Development, the National Science Foundation, and the Institute for Education Sciences, and a fellow of the American Psychological Association and the American Psychological Society, Deci has lectured and consulted for corporations, public school systems, mental health agencies, universities, and governmental bureaus throughout the United States, Canada, Japan, Norway, England, Jordan, Germany, Israel, Finland, Poland, Italy, Australia, Sweden, Thailand, Spain, Bulgaria, and Denmark. He also has a private practice in psychotherapy. Deci, E. L. (1996). 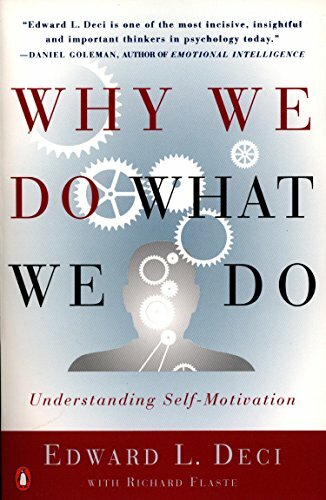 Why we do what we do: Understanding self-motivation. New York: Penguin. Williams, G. C. McGregor, H. A., Zeldman, A., Freedman, Z. R., & Deci, E. L. (2004). Testing a self-determination theory process model for promoting glycemic control through diabetes self-management. Health Psychology, 23, 58-66.